This necklace is inspired by the one worn by Mandy Moore in the show "This is Us." 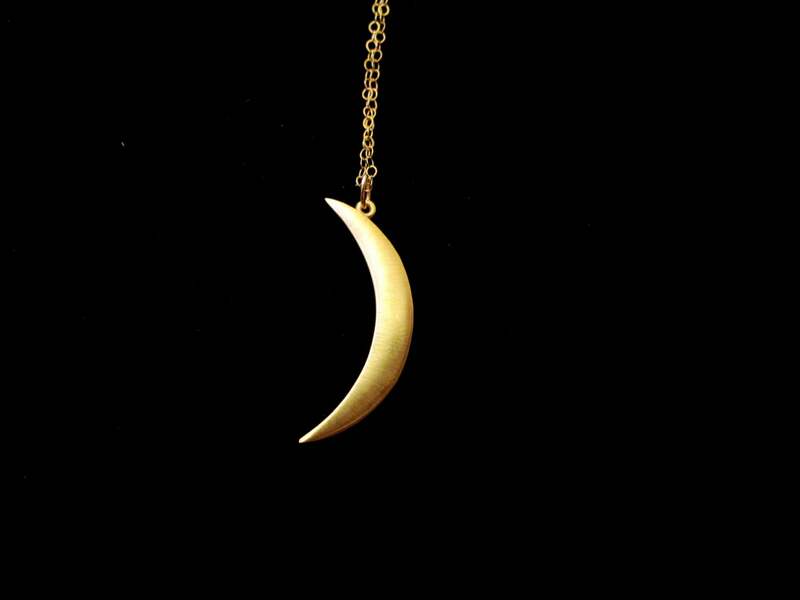 It is made with a solid brass crescent moon charm hanging from a delicate 14/20 gold-filled chain. Each moon is hand-cut and hand-polished so natural variations will occur. There is a 14/20 gold-filled spring ring closure. The necklace measures approximately 16 inches but can easily be adjusted upon request, at no additional cost. The charm is approximately 1.5 inches in length. I'm so obsessed with this necklace. This is my second purchase for my best friend! This necklace is gorgeous! Its shape is incredibly similar to the one on the show. The nicest one I've seen. I get tons of compliments every time I wear it. Thank you again! Arrived with marks of oxidation on both sides. Will have to try and polish it before I give it as a gift.